A school in my area has a cookie ban in place. I get the motivation behind the ban. Teaching kids and parents about healthy eating is important stuff. 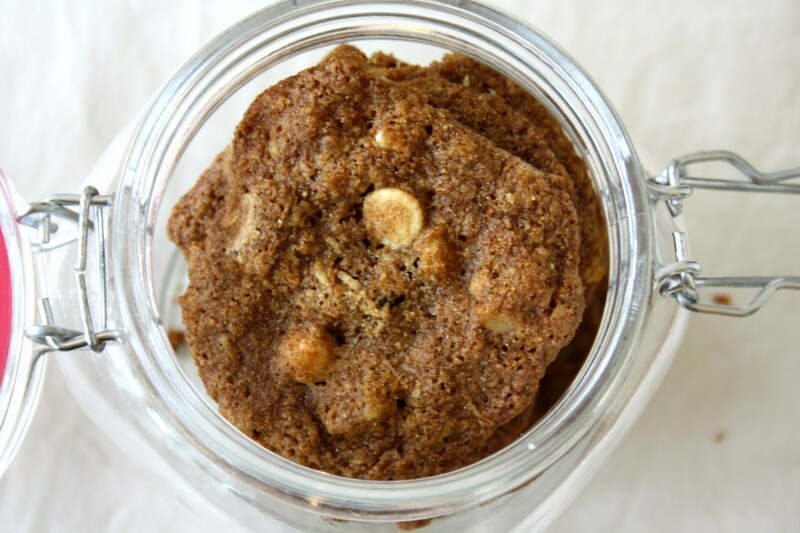 I won’t pretend that cookies are healthy, but you can fill them with lots of healthy stuff. 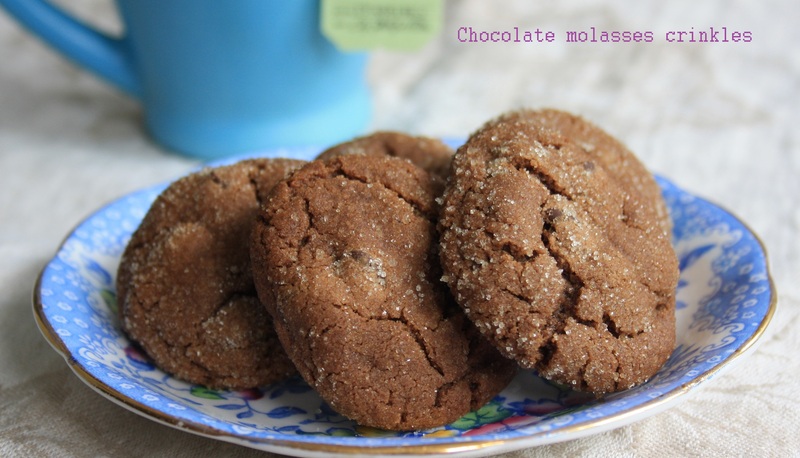 Molasses is wholesome and extra dark chocolate has its benefits too. 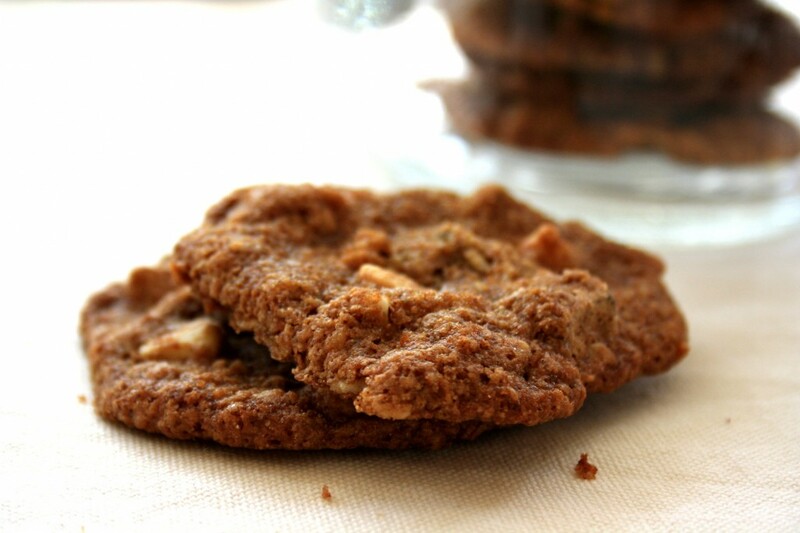 So enjoy your homemade cookies and happily avoid the hydrogenated world. 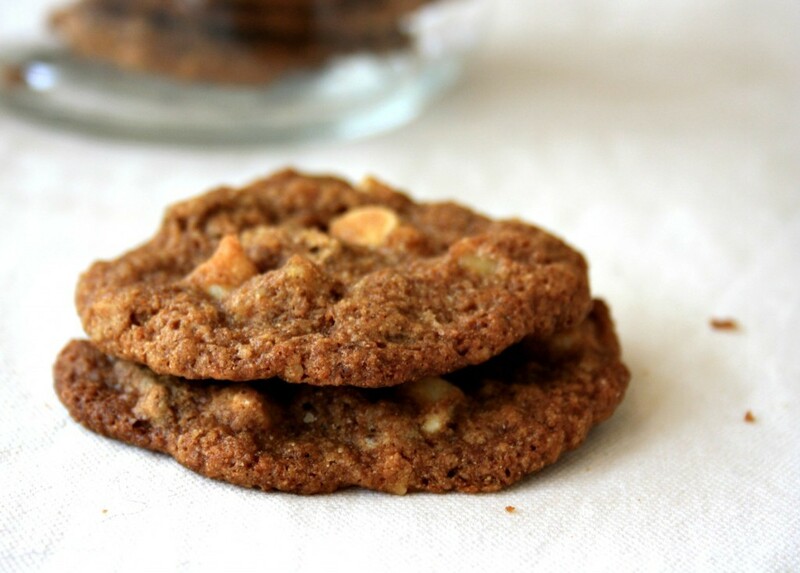 I consider this a summer cookie recipe because it’s light and almost lacy. It’s a bit chewy too, so you could use it if you’re inclined to make ice cream sandwiches. Add the vanilla and the eggs and beat until fluffy. Stir in remaining ingredients and mix well. 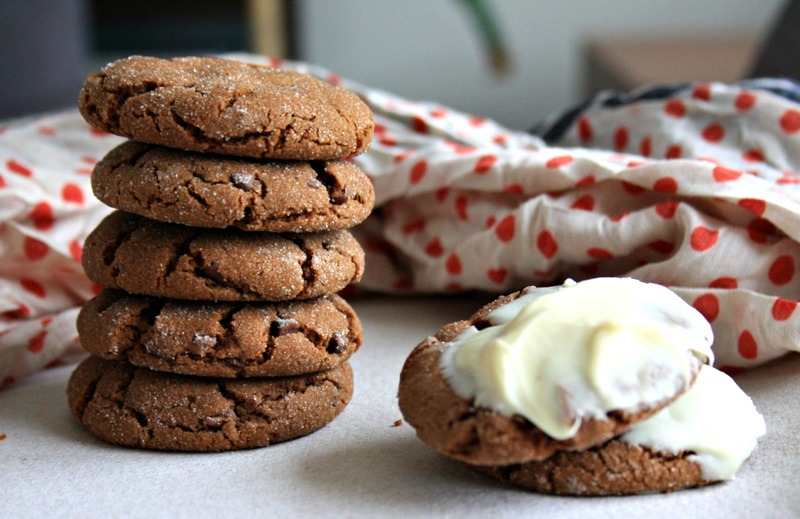 Drop by heaping teaspoonful onto a parchment lined baking sheet. Bake at 375 F for about 10 minutes (watch closely). 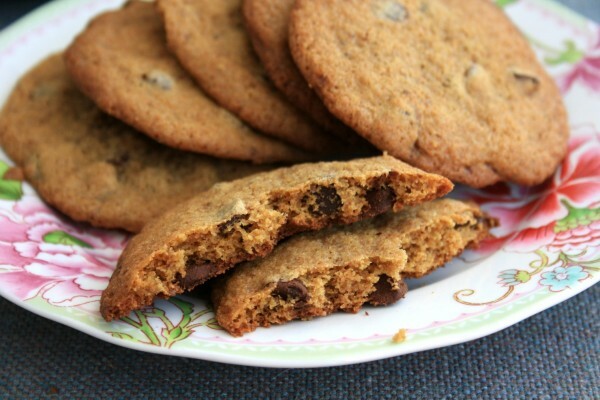 If you love chocolate chip cookies try these chewy chocolate chip cookies. 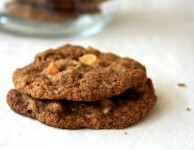 I always made cookies for my children’s lunches because they were healthier. Making cookies, baking bread, etc, you are in control. 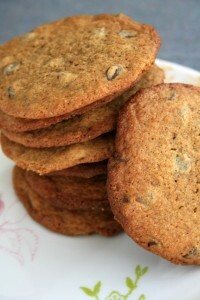 A ban on cookies? Really, it would have to depend on the kind of cookie because some should be banned. Just kidding. Hi Niina — I completely agree! You can fit lots of healthy ingredients into a cookie, or a muffin…It’s all about ingredients really, isn’t it. Thanks Lorraine, I’ll have to tell my mom (since it’s her recipe). Hi Iris, What a great suggestion. Let me look into it. (I’m not very technical but I’ll see what I can come up with something).